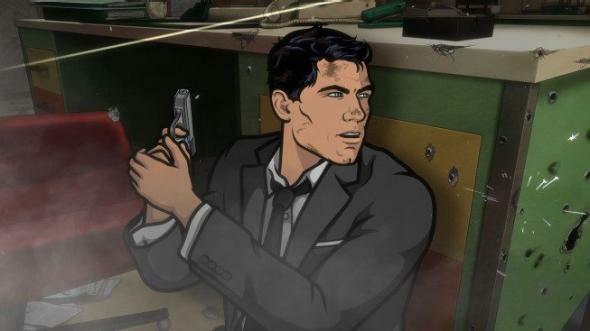 Archer and ISIS parting ways: FX show moves Sterling Archer to CIA. Archer’s got a new employer. Photo by © Copyright 2013, FX Network. Archer is known for its absurd and even envelope-pushing take on the spy-show-as-workplace-comedy. But its creators have decided that there’s just nothing amusing about sharing a name with murderous extremists, which is why ISIS—on the show, it stands for International Secret Intelligence Service—is no more. The show’s creator, Adam Reed, said that they’ve had their eye on the international news, hoping that the jihadists calling themselves the Islamic State of Iraq and Syria (or just the Islamic State) would become irrelevant. But as they have only become more prominent, the show has decided to move its central spy team to the CIA instead. The name will not be used in future episodes, but there are no plans to retroactively remove it from previous seasons. And the show’s execs said there’s a lot of ISIS merchandise that they expect to be laid to rest in a landfill. Thompson and Reed acknowledged that fans online have suggested tackling the issue like South Park would, with an arc complaining that the Islamic State “co-opted” the name. But the show’s universe doesn’t work that way, they explained. In the entirely imaginary world of Archer, the ISIS we contend with doesn’t exist.